Earlier this summer, M&C Saatchi unveiled 'the holy grail of advertising'. Now that the industry has had a chance to absorb the idea, Maisie McCabe asks: will it work? Lord Saatchi stands behind a lectern in the long sculpture gallery in the Victoria and Albert Museum. The occasion is the 20th anniversary of M&C Saatchi and, after a witty boast about the achievements of his agencies and the loyalty he engenders among his lieutenants, Saatchi turns to the future. Waiting at the Science Museum, he says, are 600 staff ready to speak to the clients, politicians and journalists currently on the other side of Exhibition Road. Among them is Tim Duffy, the chairman of M&C Saatchi UK Group. He has something to share: the agency has been studying the conflict between art and science and has had a breakthrough. "Marketing has not yet found its Newton. Until now," Saatchi teases. Fast-forward two months and Duffy is putting the finishing touches to a paper on the subject. It’s the first publication from the Saatchi Institute, a new think-tank set up to examine topics that interest the agency and possibly the industry. Duffy says they chose the conflict between art and science as their first topic because the never-ending debate was "sterile". "It was just one side and then the other side," he complains. "It never seemed to move forward." After long hours looking at data from Nielsen and Unilever, the Saatchi Institute was able to map the correlation between the ability of a brand to maximise differentiation and minimise deviation. The equation Saatchi proclaimed as "the answer" back in June is the formula for the curve created when the Unilever data was plotted on a graph. Duffy admits M&C Saatchi was "wilfully" vague about what the equation stood for when it was co-opted into the agency’s anniversary celebrations. But, he insists, the fact that you can divide a brand’s ability to maximise differ-entiation by its capacity to minimise deviation to get a measure of its share of the market it operates in is a "big breakthrough". With the Unilever data, which is believed to include Dove Men+Care in the US, M&C Saatchi has shown the formula works for a "big category in a big country", Duffy says. Now, the agency is "throwing it open". There will be more work with Uni-lever on new categories and M&C Saatchi plans to measure future data for another client to see if the results are as expected. Duffy concedes that the formula is not the "holy grail" of marketing, saying it was hyped at the event: "Maurice did his thing in his Maurice-like way – it sort of became ‘the answer’. It’s not the answer to anything. "What it tells you is what relationships you need to consider and how you are performing on one or the other." But Duffy does think the approach has many uses. It could determine whether creative work is differentiated enough. Or it might give a marketing director the confidence to say to their chief executive: "If I spend money on the following, it could have this effect." But what Duffy really hopes it will be is a "manifesto for things that we’ve forgotten about". "In the world of targeted media and digital media, we still need great ideas," Duffy explains. "The ability over a long term to differentiate your brands by all means possible is still critical. "Because we’re simmering with enthusiasm for new tech, we’re sometimes forgetting we need to have one coherent strategy across all touchpoints." Duffy does not go in for the posturing of Moray MacLennan, the worldwide chief executive, but it is fitting that the spotlight has turned to him as M&C Saatchi turns 20 and attempts to reassert itself. The Saatchis love their nicknames and Duffy is the "raincoat boy". One rainy night 20 years ago, after the brothers had been turfed out of Saatchi & Saatchi, a soaking Duffy turned up at Maurice’s door, old contract in hand, ready to join the revolution. David Kershaw, the chief executive of M&C Saatchi Plc, calls Duffy the "intellectual heart" of the agency. "Without a doubt, he is the cleverest person in the M&C Saatchi world," Kershaw says on the phone from Salzburg, where he is attending the opera festival. "We all defer to him. The development of the Saatchi Institute is a great manifestation for the rigour he puts into his business life." But not everyone is convinced by Lord Saatchi’s claim of finding the "holy grail" of advertising. 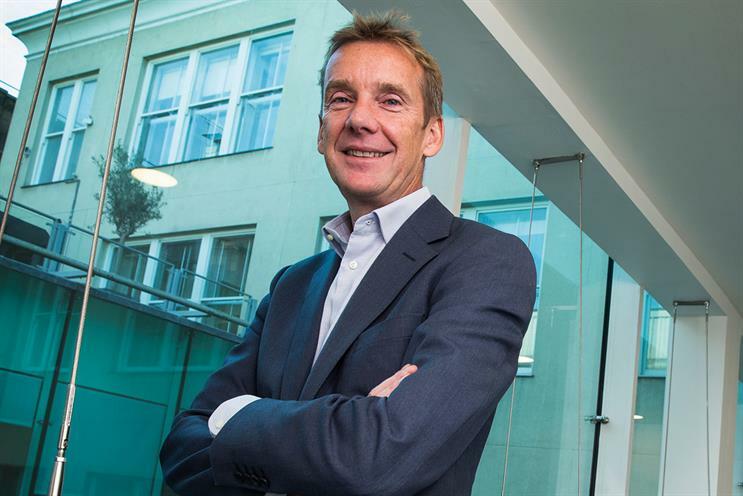 Richard Huntington, the chief strategy officer at Saatchi & Saatchi London, says he feels let down: "What was supposed to be a step change in marketing theory sounds like it will just be something that will be interesting to people like me who read Admap." It will take more than a piece of research to pull M&C Saatchi London out of its recent slump – but Unilever’s marketing chief, Keith Weed, is listening. The residents of Golden Square will be hoping this new way of looking at marketing proves the doubters wrong and will be enough to turn a few more clients’ heads. Otherwise, they might all have more time for the arts.